Although not a household name in the United States, Iwatsu Electric is one of the most stable telecommunications companies in Japan. The reason for this is the consistency of their single tier distribution strategy through its wholly owned subsidiary Iwatsu America. Unlike other manufacturers that mass market their products through supply houses and direct distribution they rely on dedicated dealer business partners to provide customized local support for the individual needs of their customers. Telspan was Iwatsu’s first Authorized Dealer and the only dealer that still supports every generation of product that Iwatsu has released. This single tier model has worked for Iwatsu America since 1972 despite many changes and evolutions in the Telecom industry. In 2011, in order to adapt to a rapidly changing trend toward providing newly development software applications (Apps) from various developers on their platform, Iwatsu Electric sold Iwatsu America to the existing management team, David Carissimi and Kevin Kelleher, who formed ICON Voice Networks. ICON Voice Networks became the Master Distributor of the Iwatsu products. ICON also has the license to use the Enterprise CS intellectually property, which allows them to continually develop and enhance the product. Telspan, as an ICON partner, provides service and warranty work on the product. Telspan is factory trained directly by ICON Voice Networks and supported by 24/7 technical support. For you this means dedicated and experienced support for your location. The second item reflective of Iwatsu’s success is the return on investment they have provided customers with their evergreen development strategy on the Iwatsu platform. Although they have developed new cabinet designs over the years to take advantage of new discreet components they still provide a migration path from ADIX to the Enterprise CS systems sold since 1988 to today’s newest technology. This means that via a simple CPU upgrade a system purchased in 1988 may now have features such as ACD, In-building cellular, computer telephony integration, Voice over IP Networking, and Voice over IP stations. 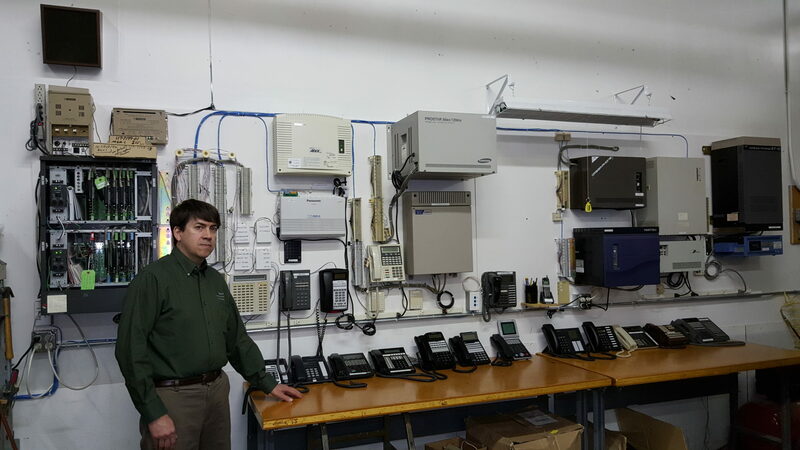 Many customers that purchased their first system in 1988 have implemented IP networking between their facilities on all their legacy equipment. If they had chosen some other manufacturer’s equipment they may be in their third product by now. ICON’s ongoing development plans continue to protect the customer’s investment through the next several years as new converged capabilities are added to the ADIX and ECS platforms. The final item is the strength of ICON’s responsiveness to their dealers. They control both the development of their product, dealer training and Professional Services. The applications software for the ADIX and Enterprise CS system was and continues to be designed in their ICON’s Coppell TX facility. This provides the flexibility to design specific software applications for us. We, the dealers, provide ICON the future enhancements and priorities for the further development of the product. The applications that are to be developed and prioritized are submitted to Iwatsu by a select group of dealer representatives. This assures that the End Users will get future enhancements and that today’s product will have tomorrow’s enhancements. This is a “win, win, win” situation for Telspan, ICON Voice Networks and users of Iwatsu’s technology. Contact Telspan at 860-528-9781 for Iwatsu Manuals.